A new domestic league season is underway in Europe, and ESPN is launching its own fantasy soccer game! You'll be able to build your own fantasy team for England's Premier League -- plus other leagues around the world. You can join a league at any time; signups don't close once seasons begin, so your season begins whenever you want it to! Your team will be made up of eight players, at four different positions: two forwards, three midfielders, two defenders, and a goalkeeper. Goalkeepers will be assessed in 11 different categories, nine of them specific to their position. And each week you'll designate one of your eight players as your captain, whose points total will then be doubled. Every week, you'll pick an entirely new team, or you can stick with the same group of eight -- as long as they're all still in the same tiers. Your team will roll over from week to week, but you'll be at your best if you're checking in weekly to set a new lineup and pick the best players in the optimal matchups. Here's where it really gets interesting. You'll be playing a head-to-head match against one of the other teams in your fantasy league each week. Just like in real soccer, you'll get three points for a win, and one for a draw. Win or lose, you can still pick up a bonus point by finishing in the top half of your league points-wise that week. So if you have the second-highest score in your league, and unfortunately were up against the highest-scoring team, you'll still get some reward. And if you win with one of the highest scores, your four-point week could send you to the top of the table! We wanted our fantasy soccer game to be a little more challenging, rather than just picking the very best players every week. Instead, you'll have to choose players from different tiers. For instance, Harry Kane -- who scored 30 goals last season (second only to Mohamed Salah), and led the Premier League in goals the previous two seasons -- will almost certainly be a Tier 1 forward every week. But if you pick him in a given week, you won't be able to select one of the other elite forwards, such as Sergio Aguero or Romelu Lukaku. Then you'll also have to select a Tier 2 forward, and Tier 2 will include less prominent players. Your choice could come down to the likes of Brighton's Glenn Murray and Burnley's Chris Wood, testing your knowledge of the league even more. There will be three tiers for midfielders, and two tiers for defenders. The difference between winning and losing each week could very well come down to how smart you are in the second and third tiers. There will be weeks when most people pick the same Tier 1 forward or midfielder, due to a very lopsided-looking matchup, meaning the importance of your lower-tier players will be magnified. We'll be providing you with plenty of information and advice throughout the season, just like with our other fantasy games. But for starters, it'll be important to look at all the categories, and not just focus on goals and assists. There is lots of value in the other stats, too. For instance, Manchester City defender Nicolas Otamendi completed a league-best 2,825 passes last season. You only get 0.1 points per completed pass, but 2,825 would earn you 282.5 fantasy points -- the equivalent of 28.25 goals! There are different approaches you can take, particularly in the lower tiers. Let's say you're choosing a Tier 2 midfielder. Jesse Lingard might be one of your options, and he had eight goals and five assists last season for Manchester United -- very capable of having a big day. But a safer option would be Chelsea's N'Golo Kante, who only had one goal and one assist, but was consistently excellent in some of the other categories -- leading the league in interceptions (85), third in tackles (113), 11th in passes completed (1,920), and dwarfing Lingard in all three. Kante's upside isn't as big, but he's more dependable for a decent score. And he outperformed Lingard over the course of last season. Kante would have been the No. 42 player in the Premier League, producing 349 fantasy points. Lingard would have been No. 74, with 290.3 points. You'll want to take a look at all the matchups on a given weekend. The Premier League has a "big six" -- Man City, Man United, Tottenham Hotspur, Liverpool, Chelsea and Arsenal -- that tend to dominate the competition. They'll usually be heavy favorites when facing any of the other 14 teams, making their players even more attractive fantasy options. It'll also be important to pay attention in the days and hours leading up to kickoff. This isn't like the NFL, which mandates that teams provide official injury reports on a daily basis. Starting lineups are announced just one hour before each Premier League game, and often there are surprises. However, you are able to make changes to your ESPN Fantasy Soccer lineup until each individual player's game begins, so if your sleeper pick isn't in the squad, you can get a new player in there right away. 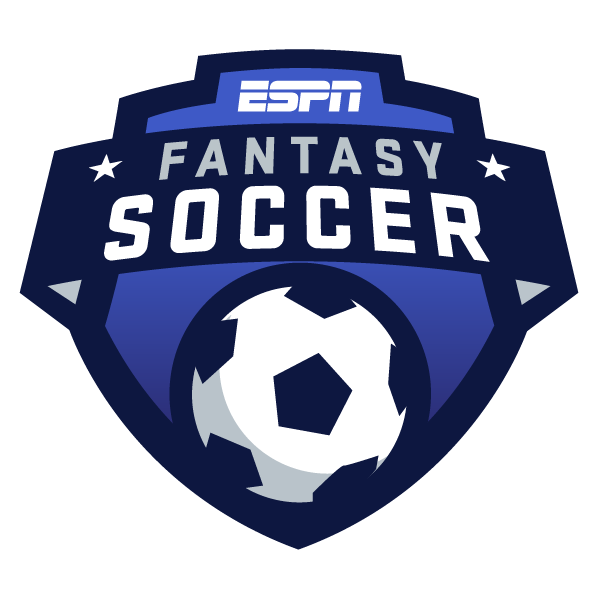 Our hope is that by playing ESPN Fantasy Soccer, you'll have more fun watching the sport, and dig deeper into it, too. There's a reason why soccer is the most popular game in the world, so don't be surprised if you get hooked!